Disney just released the first teaser trailer for Christopher Robin, and it features the most important reunion you’ll see all day — sorry, not sorry, The Bachelor. Christopher Robin is all grown up and living in London, but it’s clear he’s in need of a trip back to the Hundred Acre Wood to reunite with some old pals. The trailer finds a tired, jaded adult Christopher Robin (played by Ewan McGregor), working tirelessly under an unwaveringly terrible boss, who is commanding that he skip a family weekend away in order to work. Naturally, Christopher Robin is feeling pretty lost and empty of the imagination he possessed as a kid — but no worries because a certain honey-loving bear is here to save the day. That’s right, after many years apart, Winnie the Pooh has ventured out of the wood and onto the mean streets of London to help bring magic back to the life of his childhood best friend. 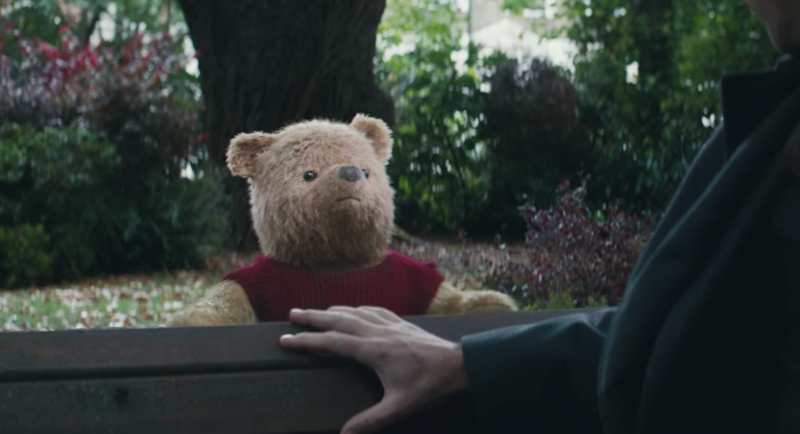 The film finds our lost Christopher Robin reuniting with Pooh (Jim Cummings) and the rest of the gang from the Hundred Acre Woods, including Tigger (Chris O’Dowd), Eeyore (Brad Garrett), Rabbit (Peter Capaldi), Piglet (Nick Mohammed), Kanga (Sophie Okonedo), and Owl (Toby Jones), who are on a mission to restore Robin’s imaginative spirit. Hayley Atwell, Mark Gatiss, and Bronte Carmichael also star in the film. Christopher Robin, directed by Finding Neverland‘s Marc Forster, is scheduled to hit theaters on August 3rd.